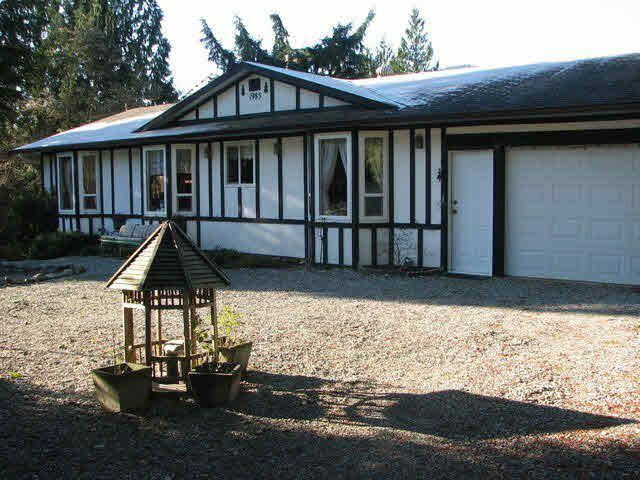 McConnell Creek offers this adorable 2 could be 3 bedroom rancher on a 1.5 acre parcel. The home offers NEW ROOF/Kitchen cabinets with modern touches with self closing drawers, pull out pantry, designer back splash tile, hardwood floors throughout, extensive tile use and custom design in the new bathrooms. New lighting package/plumbing upgrade and Thermo windows. Beautiful French door from living area to one of the new large covered decks with Metal awnings for year round use. Enjoy the views from the deck of the acreage, mountain and pond below. Property has majority of the acreage below the house.